So my new MGL amp was finished and picked up today. I tend to be paranoid, clutzy, and and like to keep my gear nice, so I had thought about getting road cases, at least for the head....problem being, I don't play out much at all. 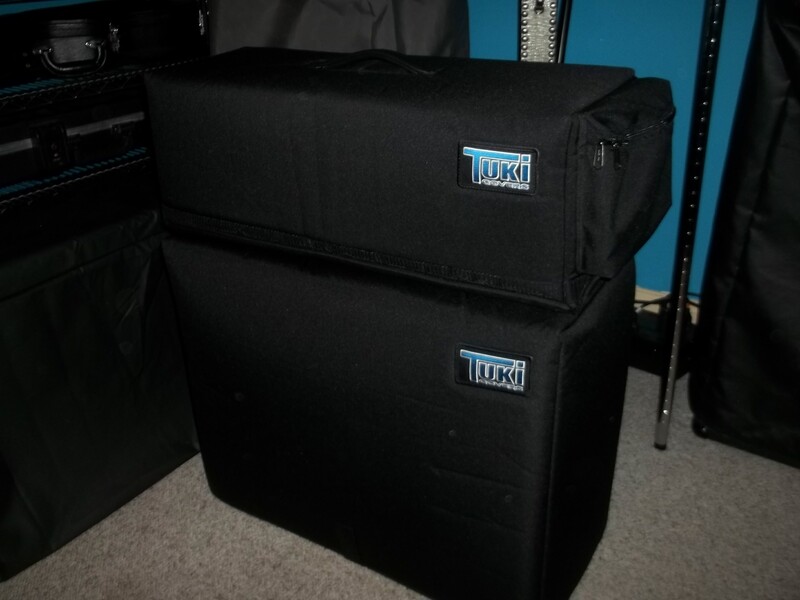 Still wanted them to be protected to travel, so I ordered in a set of Tuki padded covers for them. WAY less money than cases, easier to store when not in use, etc. The head cover I ordered with the additional full bottom and side pocket for a little more protection and a place to carry the power cord/speaker cord. The cabinet cover I just got their standard with a strap that goes under it. The head is same size as a standard small box Marshall, but the cab was custom ordered. Used their measurement template and both fit perfectly. Even the custom one was made and shipped quickly. Very happy with their service and quality. Great product for what I needed.